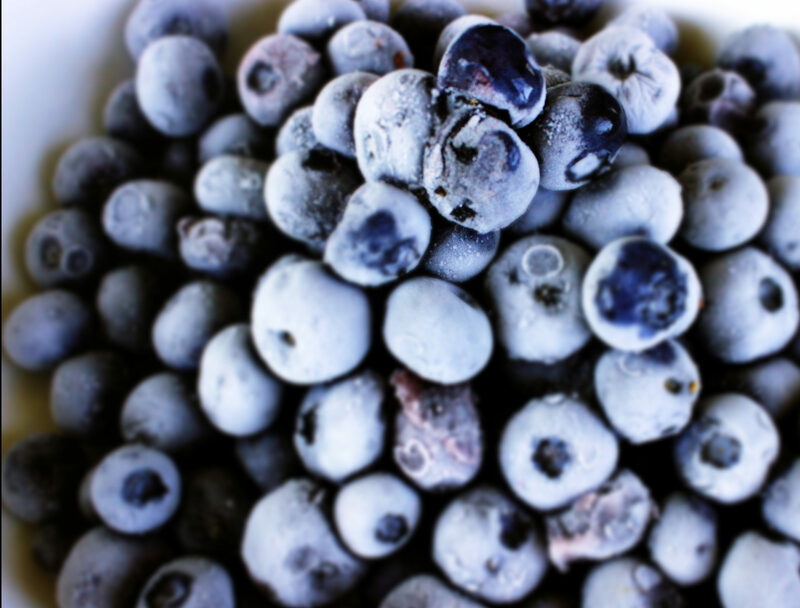 Feeling blue, blueberries that is! You’ve heard the saying. Good things come in small packages. Yup, that’s definitely true when it come to these little gems. Little blue gems. You know what I’m talking about don’t you? Of course you do – blueberries! Did you know July is National Blueberry Month? Yup, it is. Did you know the blueberry is the official state berry of New Jersey? Yup, since 2004. Did you know the blueberry is one of the few fruit species native to North America with 10 states providing 98% of production? Yup, a true American. The blueberry has an interesting history – although used by Native Americans for health benefits and as a natural flavoring, the first commercial crop was not until 1916. Fast forward almost 100 hundred years later and North America is still the leading producer. And I’m telling you the word is out how great this little gems are for you. It is estimated the consumption of blueberries has increased 65% since 2008. Crazy, right? So what’s so good about them? Ha! Maybe it would quicker to tell what’s not good about them! But seriously, these little guys pack a powerful punch! For one, despite their tiny size they are the biggest, baddest superheroes around. Yup – you guessed it. An antioxidant. Ranking highest of any other fruit, this isn’t just any old antioxidant. These little blue gems get their color from something called anthocyanin. Anthocyanin is a powerful compound that may help prevent cardiovascular disease and cancer all while boosting your brain function. Research also indicates anthocyanin can significantly decrease blood pressure, improve eyesight and provide anti-inflammatory effects. There’s even research indicating consumption of blueberries improved insulin sensitivity in certain individuals. It doesn’t stop there. Just one serving (1 cup), a mere 80 calories, serves up 14% of the recommended fiber intake and a quarter of the recommended vitamin C intake. They are also an excellent source of manganese an important nutrient that helps our body convert food into energy. See – I told you they were something else! You know what else is great about blueberries? There are so many things you can do with them. These little guys add a burst of flavor to just about anything or they make a great snack all on their own. It’s been pretty hot here, so I decided to make a refreshing smoothie using kefir. Huh? I know you’re saying what the heck is kefir – well more on that later. Just trust me paired with the little blue gems it makes a delicious smoothie. So I have to say I am feeling blue and it’s a good thing! How about you? Place all ingredients in a blender and blend until smooth and thick. You don't have to use frozen blueberries. I used fresh blueberries that I stuck in the freezer. Having then frozen makes a thicker smoothie. You can use regular yogurt in place of kefir but you'll need to add a little water to smooth it out. Depending how sweet your blueberries are, you may need to add a bit more honey.